"El Charco de Las Ranas"
El Charco de las Ranas has been the gold standard for “nice” tacos in Mexico City for more than 30 years. And I mean “nice” in the most Mexican of ways. This often-imitated small chain does many things and does them right, every single time. From humble beginnings on Av. Río Mixcoac where they mainly doled out the classic tacos al pastor and bistec, they now have a 150-item-plus menu that ranges from breakfast classics such as huevos divorciados for breakfast to a very solid pozole for the overnight crowd. Our family always goes to the original location so I can’t speak to the one in Pedregal. Mexico City, Travel "El Charco de Las Ranas"
This taco de alambre recipe is a Mexico City-style taco made with thinly sliced pork, bacon, chile poblano, onion and cheese. I haven’t written much here about my favorite taquería in Chicago, La Lagartija, but have always widely recommended the place to anyone who asked me in person, on Facebook or Twitter about where to get an authentic Mexican meal in my hometown. I wasn’t exactly trying to keep it a secret, but it’s definitely a gem and I always appreciated the neighborhood charm and the way that the meseras and owners always remembered us and greeted us like family. I have so many photos of memorable meals we ate there, and it was the only place in Chicago where we’d regularly eat tacos al pastor. 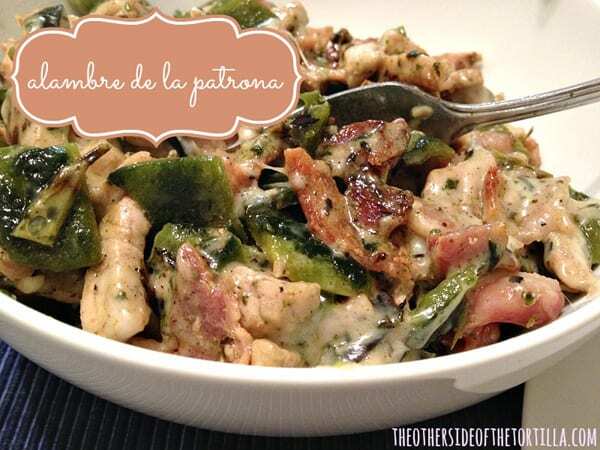 But one of my favorite standby meals there, the alambre, is both succulent and super easy to recreate at home. This recipe is my own spin on one of their alambres. 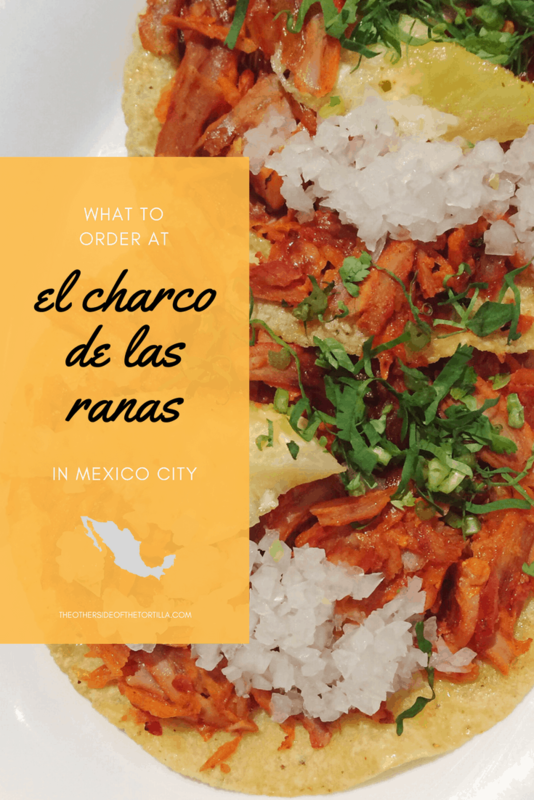 The owners are from Mexico City, and the dish on their menu is actually a version of a popular dish at one of our favorite taquerías in Mexico City, El Charco de las Ranas. This dish is also sometimes known as alambre de chuleta and is best served with warm tortillas, but you can skip the tortillas if you like and just eat it with a fork. José returned this past Sunday from his trip to Mexico City for Semana Santa. Among the presents he brought home for me… ¡Dulces! In pretty much any taquería in Mexico, you’ll get some kind of candies delivered with your check. Some of my favorites include the dulces de tamarindo (tamarind and chile-flavored candy) and the paletas picosas (spicy and sweet lollipops) pictured above from El Charco de Las Ranas, El Califa and El Fogoncito. 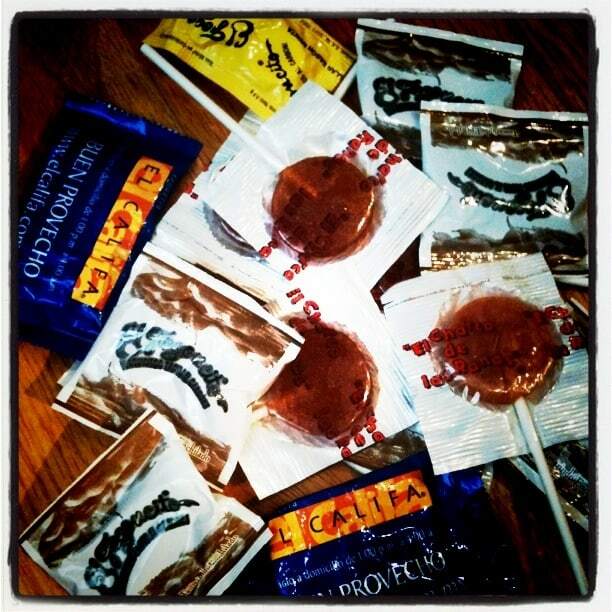 What’s your favorite candy when you visit a taquería?